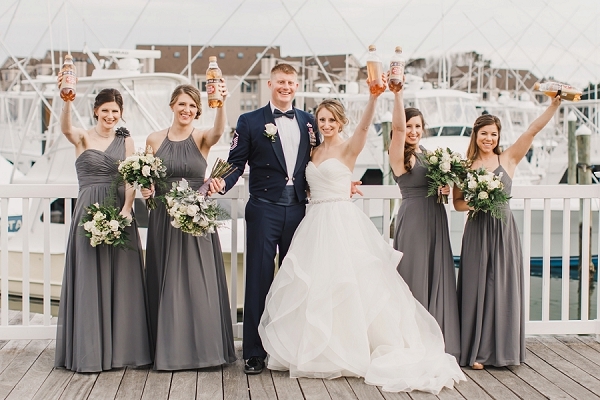 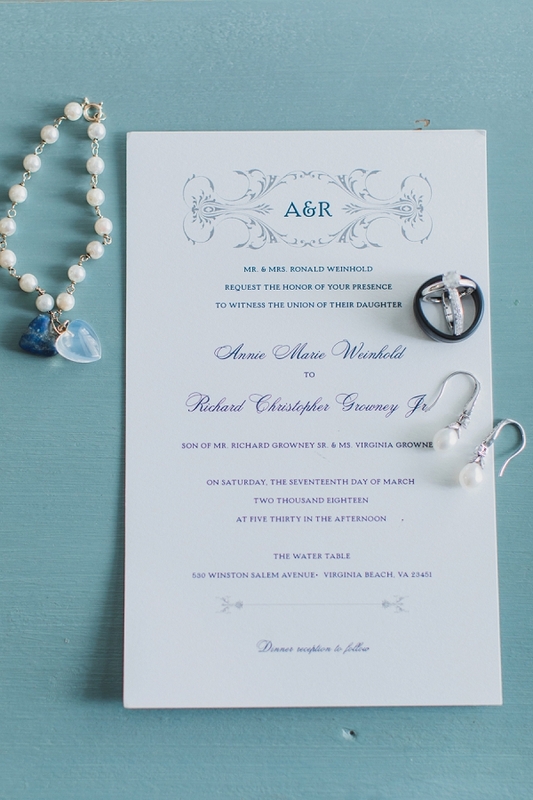 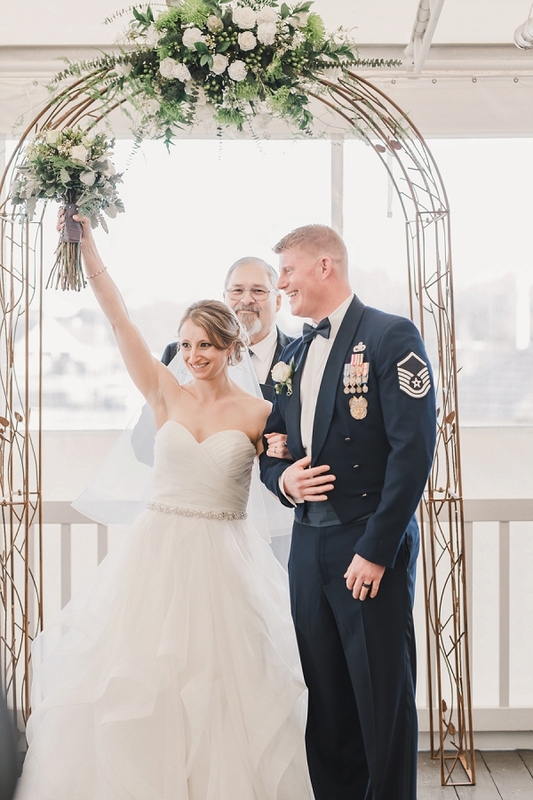 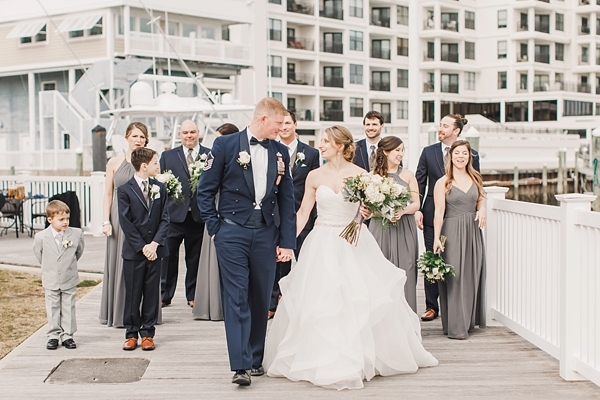 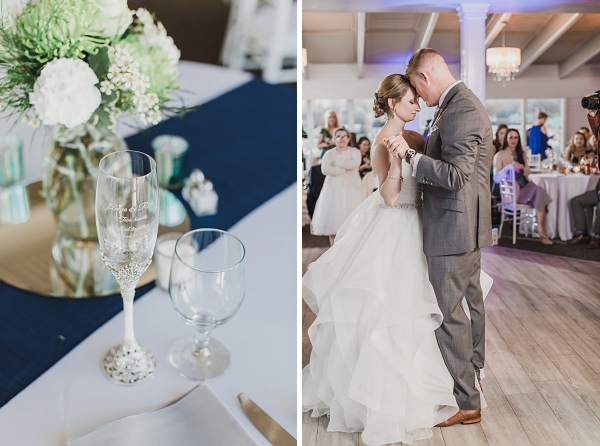 Grab a pint and your brightest shade of green, and get ready to celebrate along with Annie and Rich who chose St. Patrick's Day to say their I Do's at The Water Table in Virginia Beach. 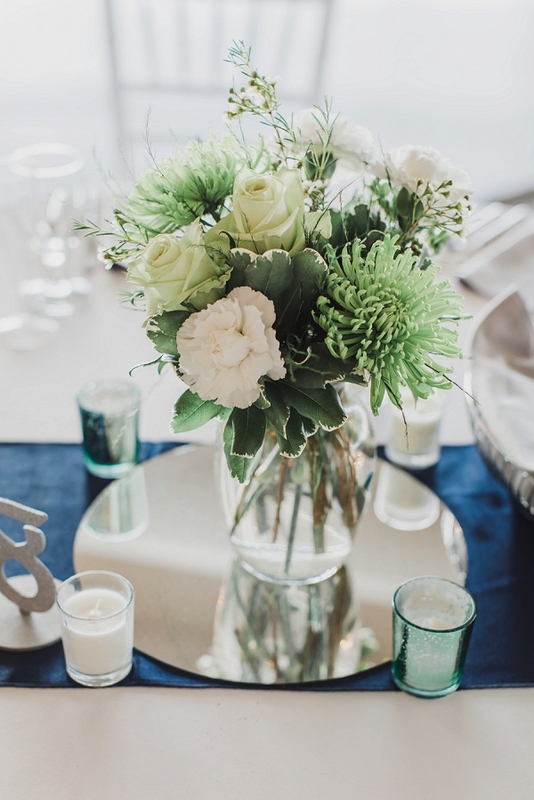 Surrounded by friends, family, and the luck of the Irish, their day featured themed details every step of the way while maintaining a classic feel. 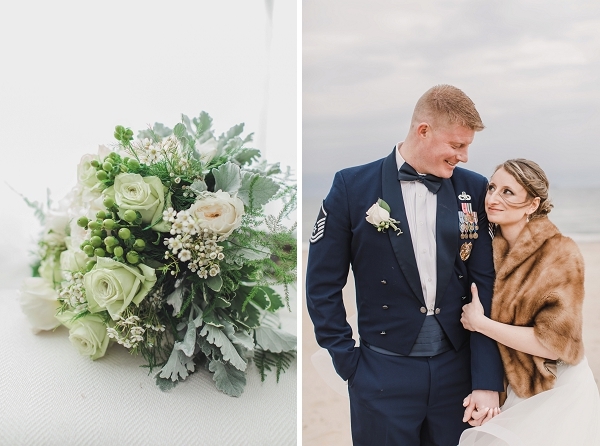 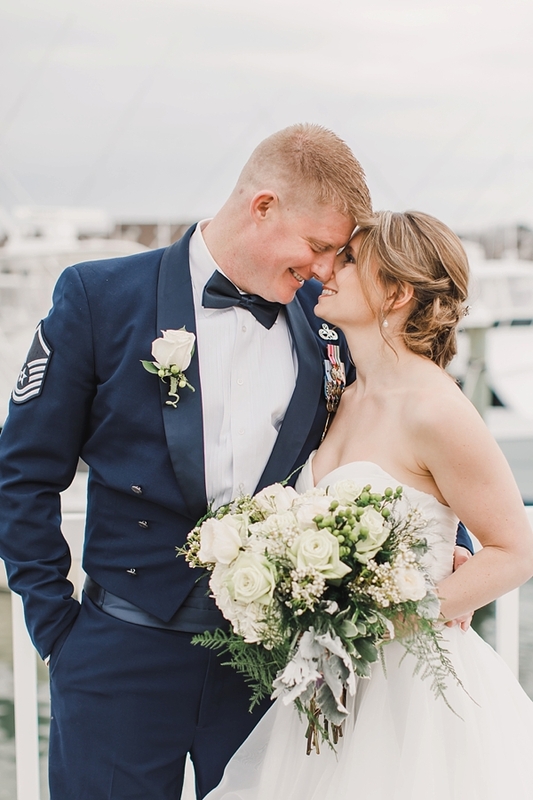 We are officially obsessed with the natural beauty of green and white bouquets, especially when paired with the sharp navy blue of a military uniform and flowy gray bridesmaid dresses! 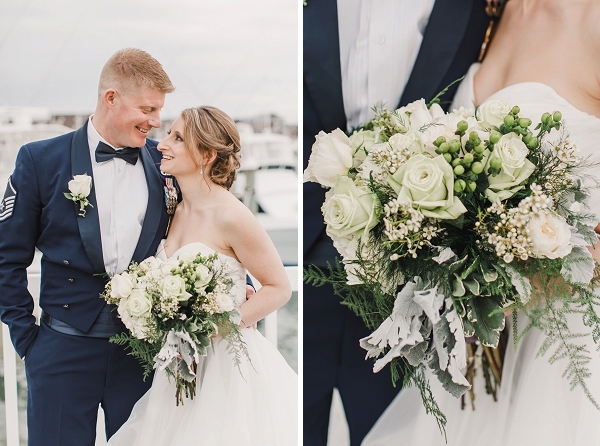 Since it was typical Hampton Roads in March, the day was unexpectedly chillier than usual, so it was the perfect excuse for a faux fur capelet on the sands of the Oceanfront. 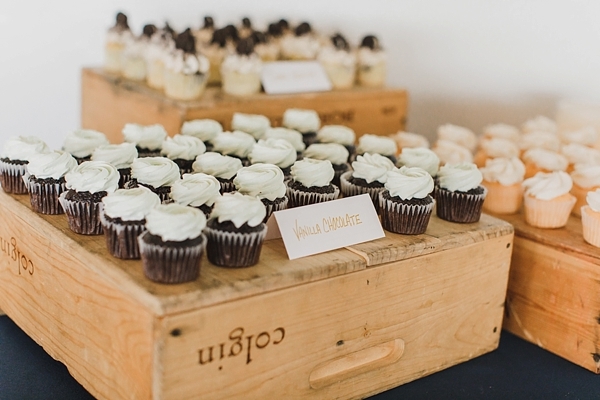 With Ch & Sh Fredericks Photography capturing every smile and fun-filled detail, the guests got into the spirit with shades of green at the reception that matched the adorable cupcakes with pistachio-colored frosting Rich and Annie chose. 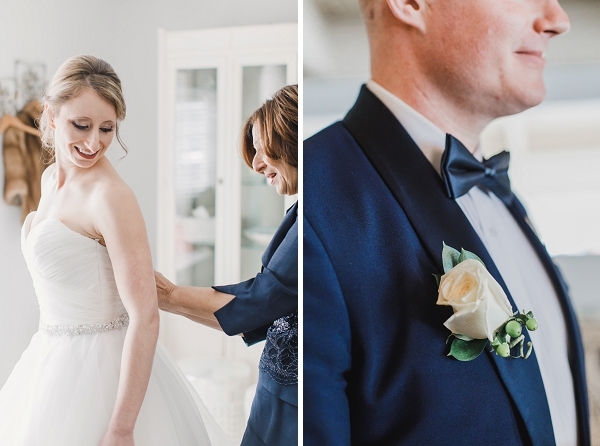 We can’t help but wish on a four leaf clover that every wedding will be as lovely as this day was! 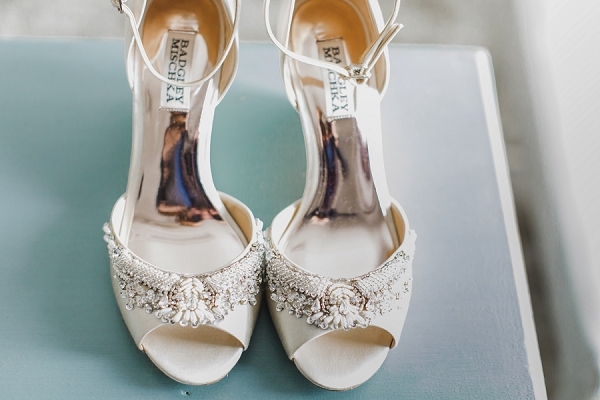 Love This Wedding Style, Too? 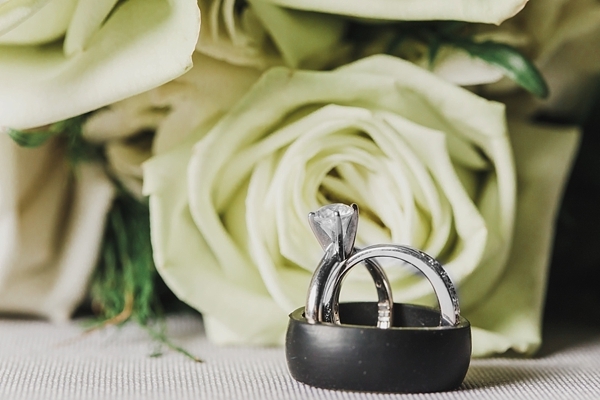 Shop These Looks Inspired By It!